WASHINGTON – (December 21, 2011) The Board of Directors of the Fund for Investigative Journalism has awarded $34,000 in grants for seven independent investigative projects in the United States. The grants cover reporting expenses such as the cost of traveling to interview sources. The Fund’s grant-making program is made possible by support from the Gannett Foundation, the Ethics and Excellence in Journalism Foundation, the Park Foundation, the Green Park Foundation, and generous donations from individuals. The next deadline for submitting grant proposals is Wednesday, February 15, 2012. In addition to funding, grantees receive editorial guidance from mentors through a partnership with Investigative Reporters and Editors. During 2011, FIJ has awarded $152,000 to journalists working on 39 investigative reporting projects in the United States and overseas. Read more about FIJ-supported projects and instructions for grant applications at www.fij.org. Journalists with questions about the application process are encouraged to contact executive director Sandy Bergo by phone, 202-391-0206, or email, fundfij@gmail.com. 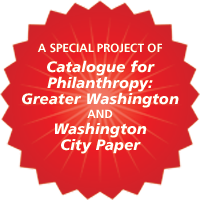 Washington City Paper features The Fund for Investigative Journalism as one of “Seventy local nonprofits that are worth your time and money,” in a special project with the Catalogue for Philanthropy: Greater Washington. The Catalogue vetted and selected FIJ to be recognized as one of the best small nonprofits in the Washington DC region. FIJ is the first journalism organization to make the list.